After the worldwide panic created by the revelation of key vulnerabilities in most modern CPUs, it was natural that companies would face backlash from irate customers and interested parties. Intel, alongside Google, Microsoft and Apple, was quick to announce the rollout of remedial updates to plug the hole, but trouble has come knocking in the form of class action lawsuits in the US. According to a report from The Guardian, Intel has been hit with three class action lawsuits over the two recently discovered Meltdown and Spectre vulnerabilities. 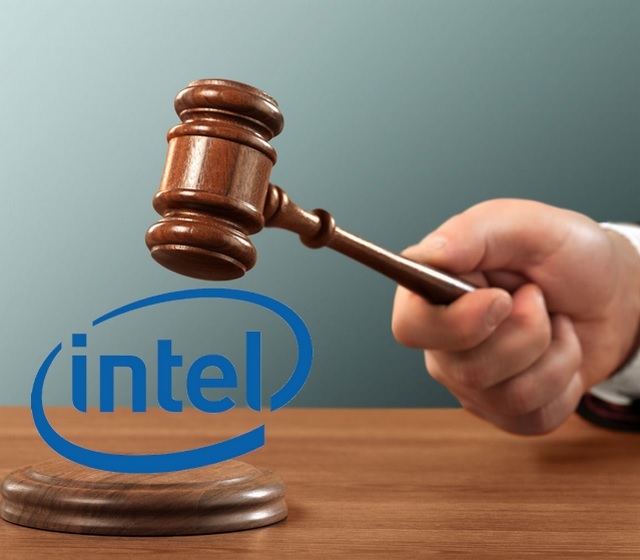 The lawsuits have been filed by plaintiffs in the US states of California, Indiana and Oregon, but this is just the beginning, as experts predict that more legal action proceedings against Intel might be on their way. Plaintiffs have cited the grave security risks posed by the CPU vulnerabilities and the delay committed by Intel in notifying the masses of the severe flaws, despite being informed of the vulnerabilities back in June by researchers. Moreover, they also seek compensation for the performance slowdown that will follow after the vulnerability has been fixed, something that Intel has challenged by claiming that the impact of the whole ordeal will not be significant for the average user. Intel is facing more backlash over the fact that its CEO Brian Krzanich sold off $24 million in company stock. Reports suggest Intel knew of the chip vulnerability at the time, and some more reports say that Intel released its latest 8th-Gen Coffee Lake CPUs despite knowing about Meltdown and Spectre bugs. It remains to be seen whether any class-action lawsuits might follow in the light of these revelations which have only surfaced after the CU vulnerabilities were announced. However, seeking compensation is one thing and actually getting compensated is another, as legal experts have pointed that the complainants might have to furnish the evidence of losses they suffered from cyber attacks initiated by exploiting the CPU vulnerabilities. But any monetary setback Intel might suffer in these lawsuits cannot compare to the millions it would have to spend to investigate exactly how deep the Meltdown and Spectre vulnerabilities go, and spending time and resources to fix them for good.